When creating our outdoor spaces, we open up possibilities for viewing points. In many cases, we design private places for socializing and entertaining as well. So here's a quick Friday design trick. When implementing structural elements, do not place them arbitrarily - give them purpose, use them wisely. Take for instance an arbor, which can serve as a doorway. From a design perspective, an arbor creates enclosure, privacy, frames a view, it defines space. Structural elements in your layout or plan must always have a distinct purpose or in some cases, purposes. Rule of thumb – a structural element should not be arbitrary; it should always blend and lend itself to the house’s overall architecture. Consider the possibilities of your outdoor viewing points. As Tom Stoppard reminds us, “Look on every exit as being an entrance somewhere else.” And in regards to this changing month of September, when our gardens appear to have a different look, feel and tone, do as E.M. Forster suggested in ‘A Room with a View’. “We cast a shadow on something wherever we stand, and it is no good moving from place to place to save things; because the shadow always follows. Choose a place where you won't do harm - yes, choose a place where you won't do very much harm, and stand in it for all you are worth, facing the sunshine.” With a gorgeous September morning like this, face the sunshine and consider the possibilities of your outdoor viewing points. If you like this blog, hope you check in for your daily share's worth of inspiration, design, and garden tips; always original, not cookie cutter and copied. Just like our design work, we strive for unique! Like our Facebook follow on Twitter or subscribe to the blog to receive posts daily via email or a feed. Either way, we hope you follow the postings somewhere in cyberspace and share it with your gardening friends. 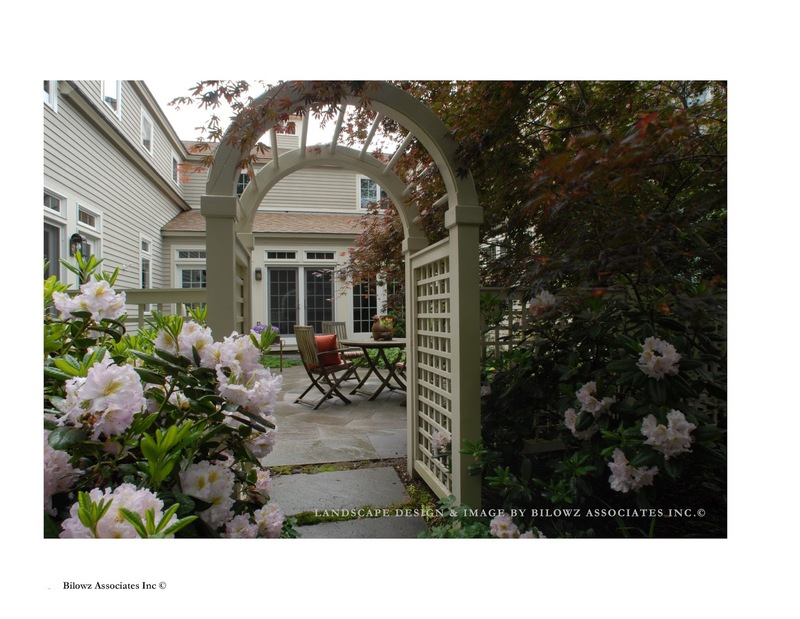 Contact me direct at Annie You can follow with visuals on Pinterest and find us on Houzz, too.